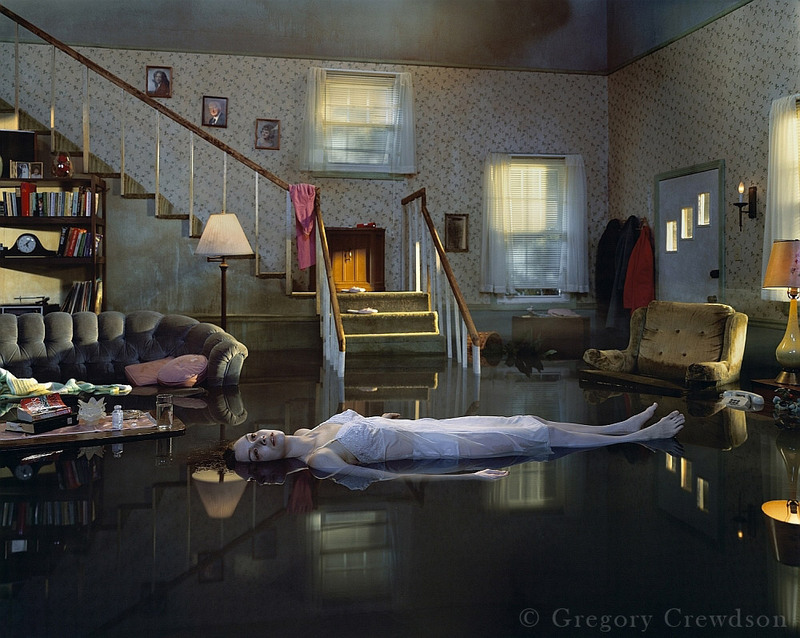 Gregory Crewdson’s images are some of the most recognized in the contemporary art world. 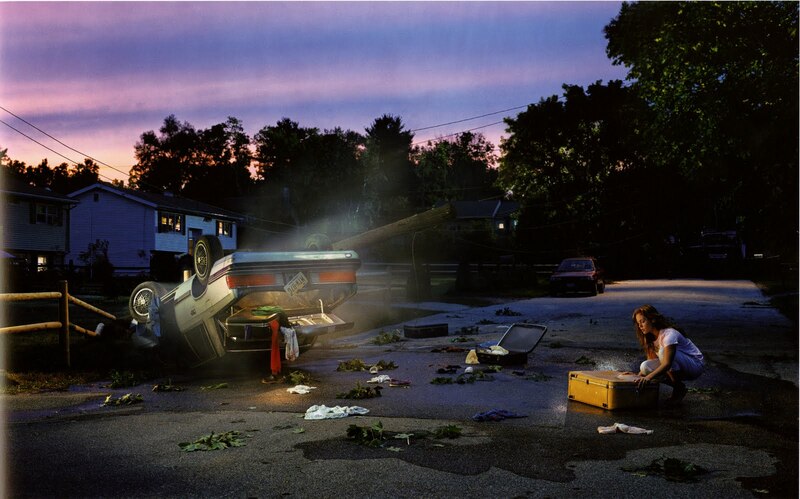 With theatrical lighting and dramatic scenes, Crewdson works in a style as comparable to filmmaking as photographing, executed with the use of sound stages and entire production crews. 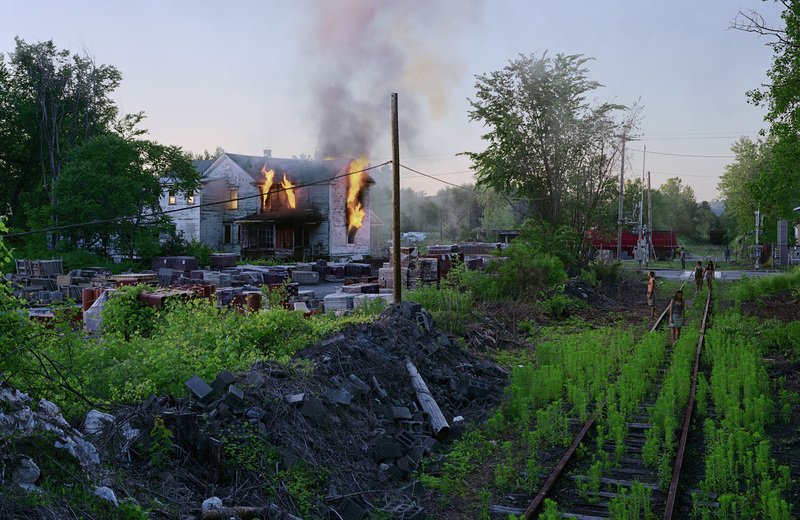 His enormous photographs are printed to both command the viewer’s attention and allow emphasis to be placed on small details. 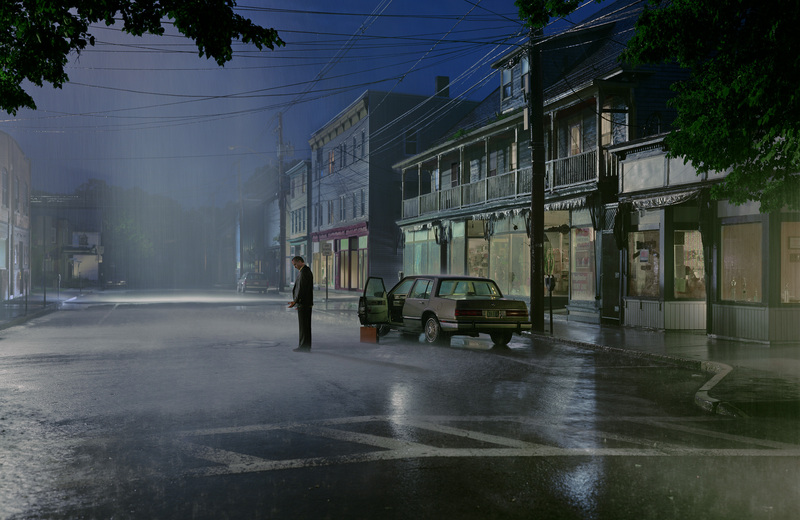 The works do not spell out a story cleanly, but leave the viewer with only an ambiguous snapshot of a surreal reality; they are open ended, the subjects rarely frozen in movement, the mood solemn and contemplative, the viewer forced to come to their own conclusions. 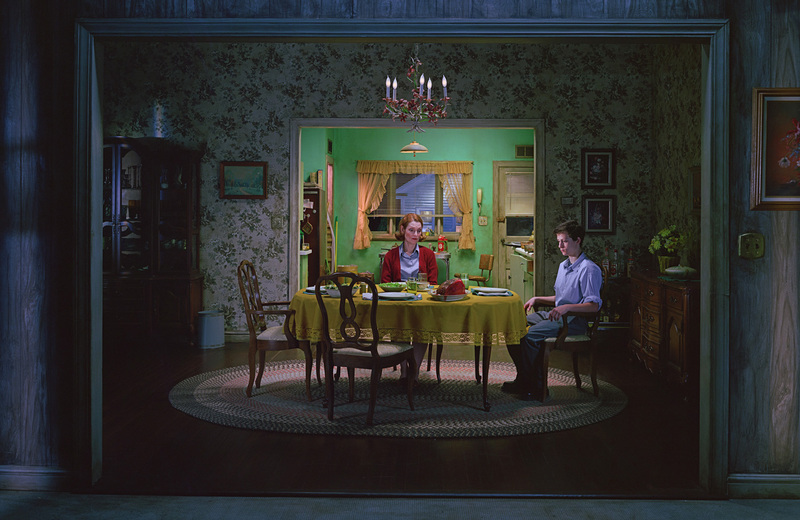 This entry was posted in Uncategorized and tagged Gregory Crewdson by jordieoetken. Bookmark the permalink.